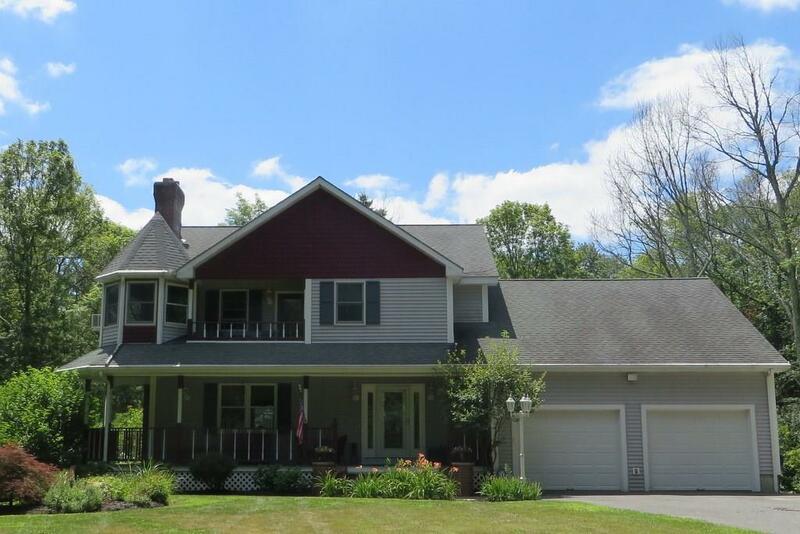 Welcome home to a well maintained landscaped Colonial on 2.9 acres. Featuring a fireplaced living room located off the foyer with French doors, dining room with beautiful Italian tile, updated kitched with Granite countertops, Stainless Steel appliances, den with cathedral ceiling leading to a large deck overlooking a private and tranquil fenced yard. Second floor has two bedrooms, a full bathroom and a master suite with jacuzzi tub and a private porch. There is also a large bonus room that makes for a great playroom. The basement is finished, has both interior and exterior entrance / exit including a family room, a guest suite with a full bathroom along with a kitchen. Great for In-Laws. Easy access to major highways. A Great Home !